Rati Saxena – P oet/ Translator/ Editor (kritya) / Director Poetry festivals-kritya and vedic scholar. She has 9 collections of poetry in Hindi and English and one each in Malayalam (translated), Irish,and Italian, She has a travelogue in Hindi- “Cheenti ke par”, a Memoire in English-“ Every thing is past tense “. a criticism on famous Malayalam Poet Balamaniyamma’s work. Her research on the Atharvaveda has been published as *The Seeds of the Mind--* a fresh approach to the study of Atharvaveda, under the fellowship of the Indira Gandhi National Center for Arts. She has translated about 12 Malayalam works, both prose and poetry, into Hindi and two from Norwagian languages. she has participated in several national seminars and published articles in a number of journals. She secured the Kendriya Sahitya Akademi award for translation for the year 2000. She has been invited for poetry reading in prestigious poetry festivals like "PoesiaPresente" in Monza (Italy), Mediterranea Festival (Rome) and International House of Stavanger (Norway), Struga Poetry Evening (Mecidonia) , and '3rd hofleiner donauweiten poesiefestival 2010, Vienna , the prestigious poetry festival in Medellin (Colombia- two times), She is the only indian participant in some imp poetry festivals like - Iran’s Fajr Poetry Festival , International Istanbul Poetry Festival (IIPF) Turkey, 4th international Eskisehir Poetry Festival. Turkey And in China’s Moon Festival. She has been invited to some Amerian Universities also to talk about Vedic poetry and recite her own poetry like Mary Mount University in Loss angles and University of Seattle ( USA) , She is one of the three representatives from Asia for World Poetry Movement, which has 37 foundation members around the world. She is the only Indian whose poem has been chosen in popular book of china – 110 modern poems of the world. • DR. V.P. MOHAMMED KUNJU Mettaru (Trustee) is a Professor and former Dean of Faculty of Oriental Studies and a former member of the Syndicate at the University of Kerala. Dr. Mettaru knows several languages including Malayalam, Hindi, Urdu and English. He also has practical knowledge of Sanskrit, Arabic and Dutch. He has published more than 300 papers in standard journals in Hindi, Malayalam and English. He has a number of books to his credit, including Adhunik Hindi Ka Srot: Naya Chintan (1986) Dakhini Hindi Ka Sufi Sahitya (1988) Masnavi Kadam Rao Padam Rao, Arya Prakashan Mandal (1990), Dakhini Hindi Bhasha Aur Sahitya (1994),Shantivahak Nabi (1994), Adhunik Hindi Ka Srot; Nav Chintan (Revised and enlarged edition) (2002) and Irshadnama (2002). Dr. Mettaru has received a number of awards for his literary works, including the Rashtra Bhasha Parishad Award(1982), the Hindi Writers Awards of Central Hindi Directorate (1987), the Acharya Ramachandra Sukla Award (1996) the Sammelan Samman (prize), the Hindi Sahitya Sammelan (2002) and the Rajbhasha Gaurav Samman (2003 & 2004). Retierd Professor of Hindi in Institute of distance education of Kerala Karyavattom, Trivandrum until 2006, worked as Guest proffesor in Muslim Aligarh University , Aligarh from 2009 to 2011, right now working as prinicipal of center of Muslim Youth andminority welfair, kerala Government. Also getting pention from the University. Managing Trustee and sacratary kritya from 2007 onward till to date. •Dr. Jayasree Ramakrishnan Nair (Editor of English Kritya journal and co-organizer of the annual festival) is a freelance editor and translator. She is also a senior Associate Editor of Samyukta, a Journal of Women's Studies. Dr. Nair is presently working as a Senior Editor at Oregon Technologies, Nanthencode, Thiruvananthapuram. She has co-ordinated a project on Women and Health, focusing on the physical and mental health of women. Her findings written in collaboration with Dr. Hema R. Nair were published under the title of 'Engendering Health - A Brief History of Women's Involvement in Health Issues'. In addition to translation work, her creative pursuits include writing poetry and painting. She has translated four plays of Shakespeare into Malayalam, which were published by D.C. Books, Kottayam, 2000. The short stories she has translated have appeared in Samakalika Bharathiya Cherukathakal, an anthology of Contemporary Indian Short Stories in translation (published by the Sahitya Akademi, 1995). She has also translated and published Walt Whitman's poems into Malayalam. Her areas of interest are Translation Studies, Folklore Studies, Shakespeare Studies and Women's Studies. She is also the editor of Kritya 2012 festival book “Dooreyanennal Oppam,” published by Kerala Sahitya Akademi. • Ms. Shalbha ( Festival organization and technical help) is a young artist, singer and sportsperson. She is an architect and a master in advanced construction management. She is creative, responsible and has good organization and leadership skills. She has previously worked in Planning & Coordination- Development Services of Commercial at the Cushman & Wakefield Pvt Ltd (Mumbai). Her other Project Planning and coordination of interior & coordinate services include Office Space for State Bank Of India (Mumbai), re-development & hospital expansion for the Asian Heart Hospital (Mumbai), commercial complex (shopping Mall in Dadar) in Mumbai, Project Planning and coordination of structure & services of Office Block 6, Nirlon (Knowledge Park, Mumbai), project monitoring of Gigaplex project (Airoli, Mumbai) for J P Morgan India, a property Mauritius Company, Synergy Property Dev Services Pvt Ltd (Pune), Project Planning and coordination of elements & services of Masterplan of an IT Park and project planning and coordination of structure & services of building blocks in an IT Park. Her work profile includes planning of master schedule, preparation of the budget, preparation of development strategy report, tracking the progress, coordinating with the client, architects, services consultants and the vendors to facilitate the design development and the procurement team and site team. She has also worked at E.I. DuPont, India Pvt Ltd (Gurgaon). As an Architect, she has worked at Sankalpan Architects Pvt Ltd (Mumbai), Patell Batliwala Manohar& Associates, Morphogenesis Architecture Studio (Delhi) and NICMAR Pune. Ms. Shalbha has Bachelors of Architecture from the National Institute of Technology (Calicut) and a Post-Graduate Diploma in Advanced Construction Management from NICMAR Pune. • Dr. Pradeep Kumar (Trustee) –has a B.Tech (1970) and M.Tech (1972) degree in Aeronautical Engineering from the IIT in Kanpur. After post-graduation, he joined the Division VSSC (ISRO) and later the Space Science and Technology Centre as a Scientist/Engineer SC. Dr. Kumar has a PhD from the IIT in Kanpur. During the course of service, he rose to the level of Scientist/Engineer ‘G’ and retired as the Group Director of ADTG from VSSC in Trivandrum in 2009. 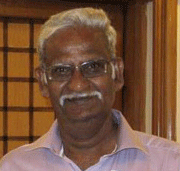 After retirement, he joined the University of Karunya in Coimbatore. Presently, he works as the Head of the Aerospace Engineering Department. Dr. S. Thankamoni Amma- s he has 37 years of teaching experience (6 years government colleges of Kerala and 31 years in the University of Kerala). She was previously a professor and Head of the Hindi Department at University of Kerala. Dr. Amma was also previously the Dean of Faculty of Oriental Studies at University of Kerala. She has supervised nearly 30 PhD research students. A translator and critic, Dr. Amma has published 8 books of translation and three books of criticism. She has also edited a number of books. She has published a number of articles and translations in various Indian journals. Dr. Amma has received a number of awards including the Chandra Hasan Award, Uttar Pradesh Hindi Sansthan puraskar, Kendriya Hindi Nideshalaya award, Sahitya Shree, Vishisht Hindi Seva Puraaskar, Vishva Hindi samman, Rahul Sankratyayan Puraskar and the Sahitya Vachaspati. She is a member of advisory boards in a number of prestigious institutes.